Ever run into an old friend you haven’t seen in years and been amazed by how fabulous they look? That’s exactly how we felt after returning to the Sofitel Brisbane after a multi-million dollar makeover. It’s been a long time since I hung out at the Sofitel Brisbane wearing bad ’80s fashion. Unlike me, the hotel looks younger and fresher than ever – thanks to several million dollars’ worth of upgrades and refurbishment. I arrive on my birthday with plans for spoiling myself utterly. My car is whisked away and I’m soon relaxing with a coffee on Level 30 at Club Sofitel. 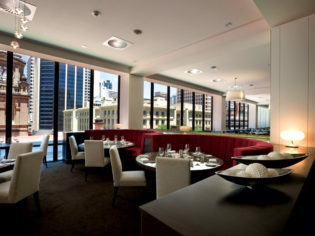 The largest of its kind in Australia, this top-floor guest lounge is available only to guests staying in a Club Sofitel room – which cost more, but when you take into account the free breakfast, all-day refreshments, generous canapés and French bubbly, wine and beer available during cocktail hour, it’s money well spent. My husband and I eventually wander down to the restaurant with the half-hearted intention of having dinner but the canapés and sweet treats have finished us off. A pity since the “interactive dining” concept at Thyme2 certainly looks good. Dishes are made fresh at stand-alone cooking stations and the restaurant is light and airy with quiet tables for those who want them. The traditional cylindrical Tandoor oven, fresh seafood and decadent chocolate fountain seem especially popular. Just over from the restaurant is Cuvee – a dedicated champagne lounge featuring more than 20 of the world’s finest. For such a large space this bar has a surprisingly intimate feel and the couples and small groups relaxing on chocolate brown couches and leather armchairs are clearly enjoying themselves. In fact the entire lobby area is particularly attractive. The restaurant and bar give it energy, while elaborate floral arrangements featuring artfully twisted greenery are classy without being austere. The same can be said of the staff; from the bellman that approaches a couple that appear lost, to our charming Club Lounge hostess, they’re a highlight of our stay. It’s only in our room that a remnant of the old hotel lingers like a subtle whiff of cologne. Furnishings and décor are fresh and modern but the bathroom, with its shower over the tub and flappy shower curtain, isn’t in keeping with the otherwise luxurious feel. The new top-floor gym has all the latest gear and fantastic city views. It also comes with its own “Jim” – a virtual instructor – to help with exercise tips and workout ideas. This is the most inviting hotel gym I’ve ever seen but it will have to wait as I’m booked in for my birthday present at Stephanie’s Spa Retreat. This chic haven, tucked away poolside, comes with yet more flowers, the ambient glow of burning candles, soothing music and the scent of essential oils. My facial turns out to be good – but it’s the experience as a whole that has me longing to return. Everything is soft and warm and my therapist is so caring that when I finally leave I feel like giving her a big hug. After my treatment she plumps the cushions on a large wicker egg-chair with matching footstool in the relaxation lounge and presents me with a pot of Harmony tea – served with a shot glass piled high with tangy raspberry sorbet. Staying at the Sofitel Brisbane has made me feel (almost) as glamorous as the hotel itself. Where: 249 Turbot Street, Brisbane. Cost: Packages including buffet breakfast, bottle of sparkling wine, French Roger & Gallet bathroom amenities, free newspaper and gym use from $255 per night. 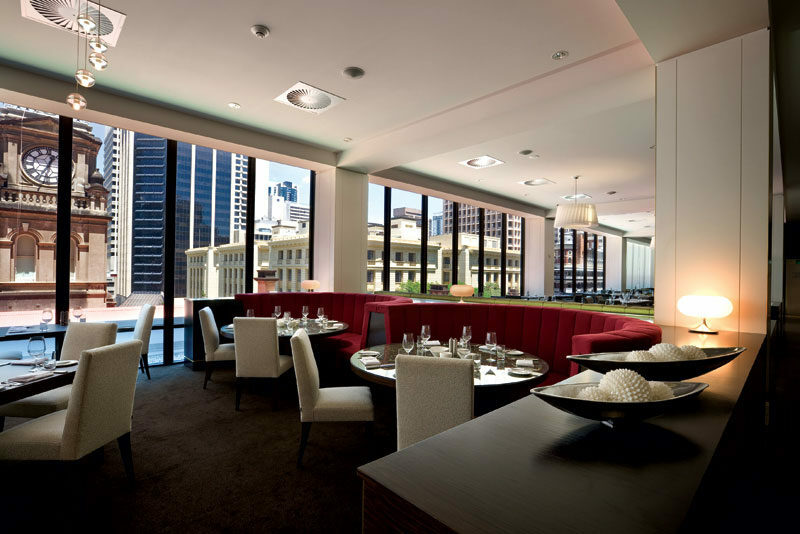 * Like all AT reviewers, Tiana visited the Sofitel Brisbane anonymously and paid her own way (although, since it was her birthday, hopefully her husband Trevor paid). She advises catching the Airtrain from Brisbane airport to arrive directly underneath the hotel at Central Station. This saves spending wads on a taxi and getting caught in traffic.